Un scramble the punch line! Buster Bass for Fish Flipping fun! Join Buster Bass,Guppy, Grouper, Teddy Trout, Baitman and Tackle Box as they head into openwater on their hilarious fish finding capers! 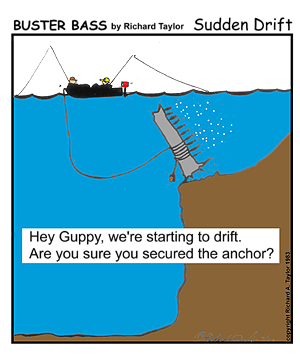 But look out! Fisherman's Grove is no ordinary Sportsman Wilderness Area. There is just something different about the animals in the area that,... well... just isn't quite normal. And the fish... well, something is not quite right about the fish either. Set your hooks and join the entire crew as they weather the wilds of Fisherman's Grove. Kick back on the banks of the high clear mountain lake community they call home. 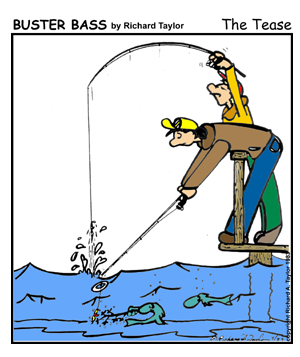 Take a vacation as the gang trys their hand at ocean fishing along the weather blown seaboard. 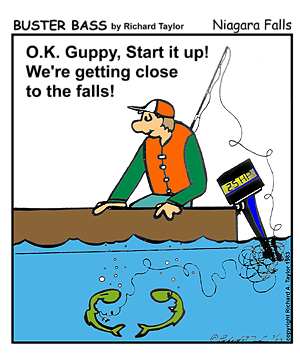 Winter, Spring, Summer or Fall, the gang will be there to fish up a storm come herring or high water. Theresno bigger better bass than the bass buster Buster buys at the big bass busterbarbecue. Be there to see Buster Bass buy it! 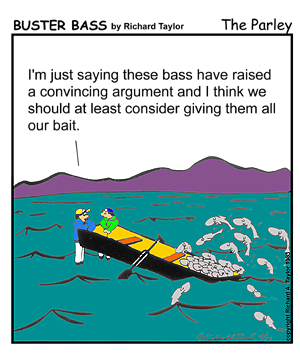 Big Bass Boats Bear the Burdens of Big Bass When Big Bass Bite and Bob Buster Bass 's Buoy. That's Right! 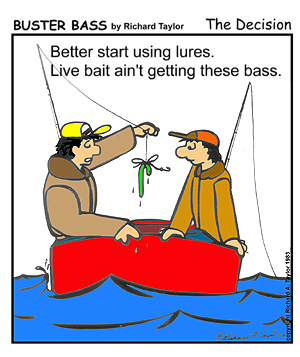 The Better Bass Buster Lures Buster Bass Bought are About to Bring in the Big Bass. Watch Buster Bring the Big Bass into the Boat like a Breeze on the Big Deep Blue Bass Bayou. 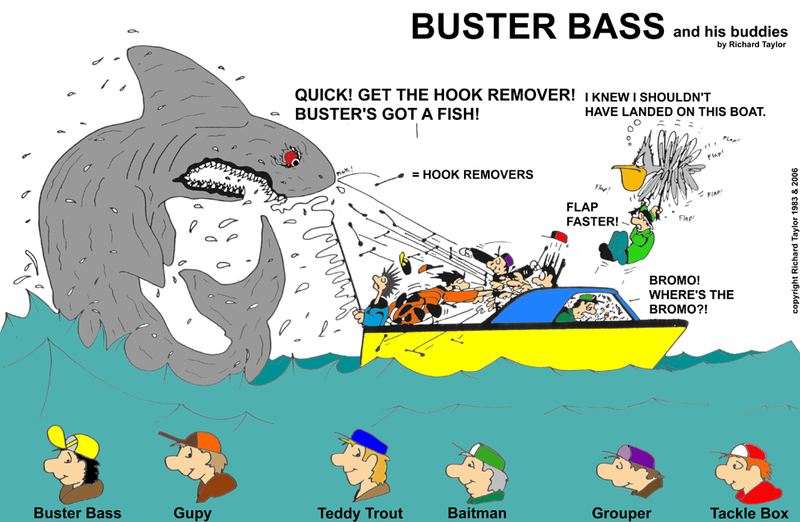 Look out when Buster and his Buddies go all out to catching busting theBiggest Striped Sea Bass in the Sea Bass Open Water Boating Tour Competition!